It’s called the Hawk Challenge for a reason, and this weekend the Laurier men’s basketball team definitely faced challenges. 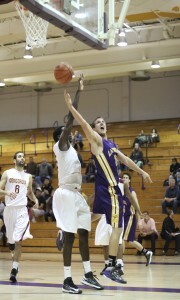 In the annual preseason tournament, the Golden Hawks finished 0-2 after dropping two close contests, 74-69 to the UBC Thunderbirds on Friday and 94-86 to Concordia Stingers on Saturday. Though the record doesn’t read well, the results were promising for a young Laurier team heading into a season of uncertainty. The trio led the scoring in both games for the Hawks, with Allin scoring 41 points, Donnelly 34 and Coulthard 23 . The leadership of the Hawks’ “big three” will be important for a team that has only six returning players and a boatload of freshman rounding out the roster. Aiddian Walters, Kyle Enright and Jamar Forde round out this year’s crop of returning players. Enright was a deep scoring threat, shooting 45 per cent from beyond the arc last season. Meanwhile Forde looks to contribute more this year after missing half of last season to an ankle injury. With the development of young players being a big focus in the upcoming season, Laurier’s competition this weekend acted as great measuring sticks. The out-of-province teams finished the weekend 2-0 after knocking off both Laurier and the Guelph Gryphons. “I would say UBC is probably a team that’s going to be one or two in Canada West Pacific Division anyway,” said Campbell after Saturday’s loss. “And with a minute to go we were only down a point. I think that was a really good improvement. 6’7” Laurier newcomer Matthew Chesson provided the highlight of Saturday’s game, taking a feed from Allin and throwing down a dunk that resulted in a roar from the crowd. “I think Chesson has played really well in all four of our games,” said Campbell. “For a freshman big guy, big guys come along slower, he’s out of a small school in Whitby so the tempo of play and the physicality of the play is a whole new experience and I think he’s done a great job. In total, 15 players saw court time for the Hawks this weekend. Campbell noted that it doesn’t allow players to get into a good rhythm, but he was impressed with what he saw from some of his first years. There will certainly be opportunities for these kids to contribute this year, but Chesson says he isn’t feeling the pressure. Overall, coach Campbell is excited for the upcoming year. The Hawks will travel to Montréal this weekend to participate in the Redbird Classic. They will face McGill, Ottawa and Trinity Western before returning home for an exhibition game against the Laurier Alumni. 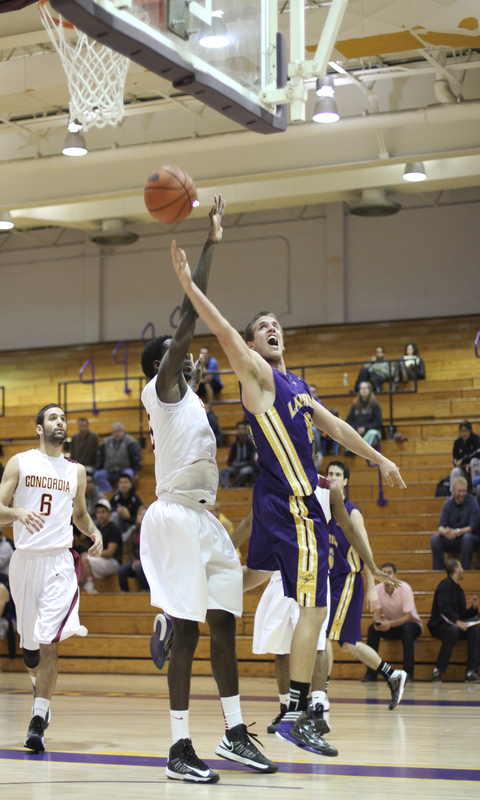 Regular season action begins for Laurier Nov. 9 against Queen’s in Kingston.